Robots in a hedgerow maze? 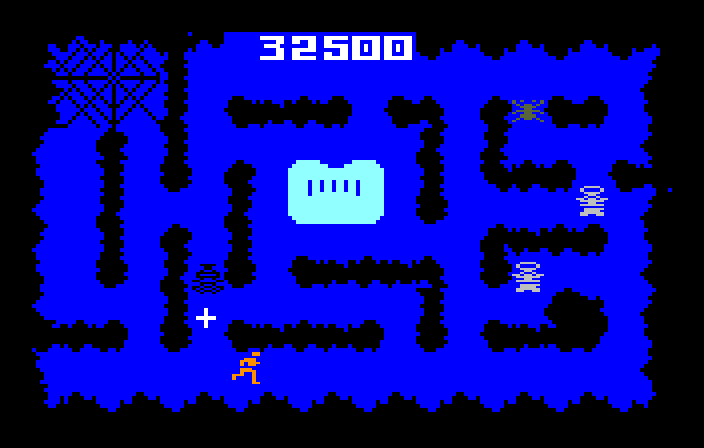 You’ve somehow managed to get stuck in a hedgerow maze and you’re not alone; bats, spiders, and robots are all around and they’re not going to play nice. Lucky for you there’s handgun somewhere in the maze. Too bad it only has six rounds. 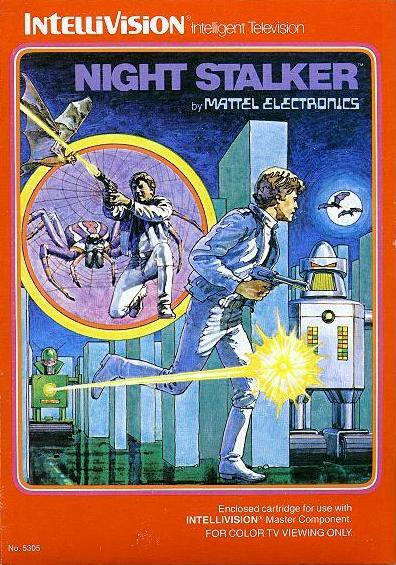 Managing the handgun’s ammunition and finding the next handgun to spawn are what it’s all about in Steve Montero’s Night Stalker, a 1982 release from Mattel for the Intellivision. Spiders and bats in a hedgerow maze, sure, but robots? John: The man moves horrendously and the game grows tepid quickly thanks to that, plus the monotonous routine he’s on. Not every game should have a “win” criteria but damn, this game needs another objective besides just surviving. At least it gets tougher as a game progresses. Jeff: This reminded me of E.T. at first, but the only thing that would link these two games together is how terrible they are. I was not impressed with the game and the disc pad was still horrible. The soundtrack didn’t impress me either.